Worth Architectural Series 25 x 20 Wood Return Filter Grill Discounts Apply ! 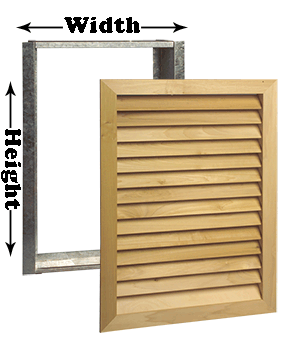 Worth air vent return grilles are crafted with a solid Pine faceplate, perfect for staining. This filtered vent has 26 gauge steel rear housing that holds a 1" filter that is sold separately. The air vent return grille is also available with a Poplar faceplate for painting from the Worth Premier Series. Your return air filtered vent is delivered with all mounting hardware. Filter air vent return grilles require a setback of at least 3 inches for proper installation. After installation the filtered vent has easy maintenance, just damp wipe to keep clean. This filtered vent from the Worth Architectural Series is manufactured in America. This item has a 3-4 week lead time and is considered a special order item, there is a 20% restocking fee for exchange or return. 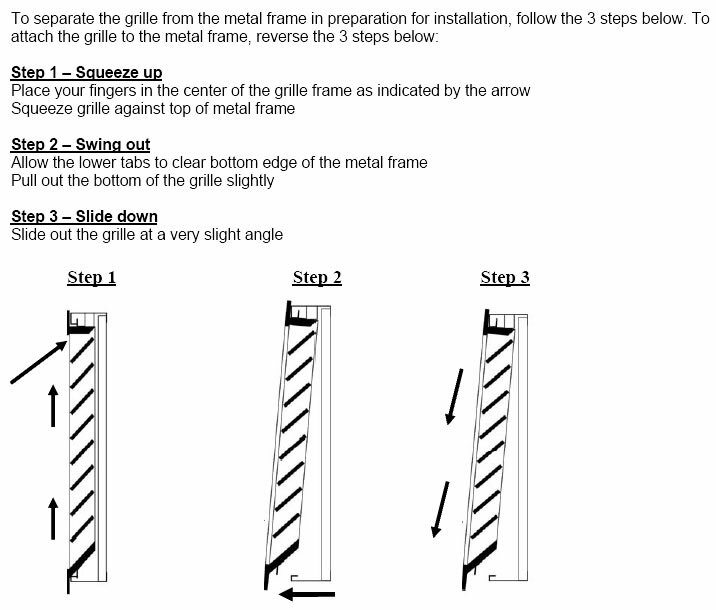 This wood filtered vent faceplate is easy to remove and re-attach, just follow these guidelines. Worth air vent return grilles are beautiful once stained and they also filter airborne particles, order yours today!